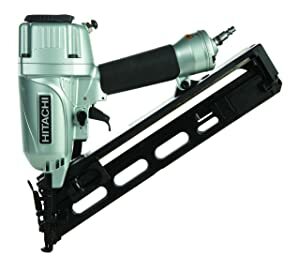 A finish nailer is commonly used for furniture repair and construction, molding, crowning, and cabinet works. 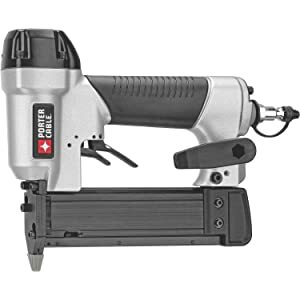 Unlike other types of nailers, this power tool helps improve the aesthetics of your work. If you don’t have any idea on how to choose the best finish nailers, it’s a good thing you came to our place. 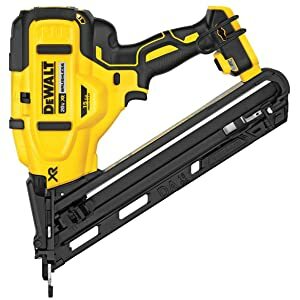 We are going to show a quick buying guide for the features and factors you need to consider when choosing the best finish nailer. 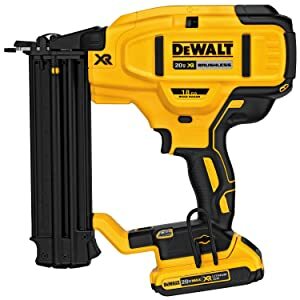 We also included an in-depth product review for the top 10 best finish nailers for 2019. 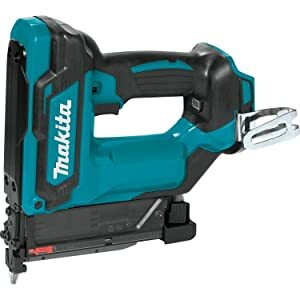 It is always advisable to educate yourself with the important features and factors you need to consider when choosing any kind of power tool. Below are some of the critical things you need to look for when choosing for a good finish nailer. The gauge specification in a finish nailer refers to the number of nails shoot per inch of the surface. For instance, a 23-gauge nail means there will be 23 nails per inch surface of the material. Rule of thumb, as gauge level increases, the nail’s thickness decreases. 15 and 16 gauge: These types have greater holding capacity because the nails are much thicker. 18-gauge: This is ideal when you are working on moldings which require a thinner nail to prevent surface cracks. 23-gauge: These are just used for decorative tasks or putting light accents to a workpiece. Finish nails with this function are more convenient considering there are instances that nails inside gets jammed. A finish nailer must have a smooth and easy adjustment setting on how deep are the nails buried to the surface. 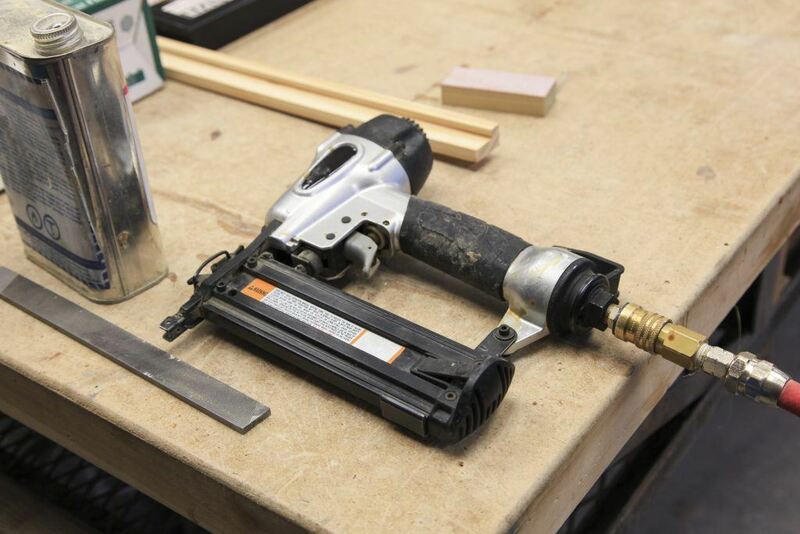 A dry fire means the nailer fires even without nails inside and this can damage the tool. Some finish nailers have anti-dry fire mechanism which locks the tool if there are no nails inside. A no-mar tip prevents any bumps or dents created on the work surface whenever the tooltip presses against it. This is applicable to pneumatic types where the tool must have an exit for excess air. The air vent must be away from the user as it may cause harm and distraction. Most grip handles of nailers are wrapped with soft rubber to prevent slip and give comfort to the hand. This tool works on a very low noise level compared to pneumatic ones. Its compact size allows you to work on narrower spaces. 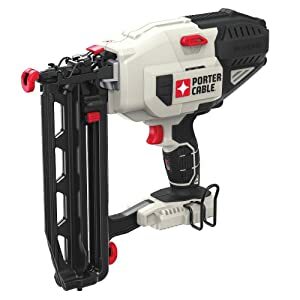 The portability of this nailer makes it really convenient and it delivers decent power. Overall built is rigid and looks professional. 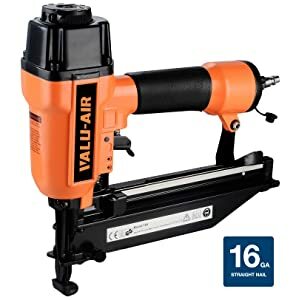 This is a reliable and powerful finish nailer. You need to set the pressure at 85 lbs and you can do around 60% of 3500 square feet of nailing in two days with just one person. It is extremely lightweight so very friendly for people with soft hands. The tool-less depth adjustment and the quick-clear jam adds for the great investment. Just need to secure the quick connect adapter for the tool and the hose. This tool can perfectly work with any anchor length such as ¼”, 5/16’, ½”, and 9/16”. You can upholster 7 dining chairs without any jam. Overall construction is sturdy and decent power every fire. Worth the price. Besides, some units have the safety feature not functioning very well. This tool is easy to use and handle. While using, it doesn’t produce any dent or mark on the work surface. The tool adjustment is smooth and air exhaust work well. Remind: the nose piece covering has a rubber coating and you'll need to re-dip it to maintain the effectiveness. It is has a decent power which can effectively drive 1" to 2.5" nails through an oak moldings and ¾" thick oak plank. The depth firing is consistent with this tool. You can continuously work on a 450 sq ft board without getting any jam with this too. Overall built is sturdy. Sometimes the anti-dry fire function doesn’t work. This power tool is ideal for tacking wood framing and other upholstery works. It has a decent power which can effectively fire different lengths. The battery can last to a decent work duration. Likewise, the too is fast-charging and durable. And sometimes, there are very slight instances where it misfires. It is quite heavy but it is easy to set up. It provides sufficient power for installing casing and baseboards. This tool is portable to use and the grip is really comfortable. The depth is an adjustment is smooth and firing is consistent. The LED work light gives added value, particularly when working on dark corners. Remind: you need to buy an extra battery if you intend to work for long hours. I love the micro nose of this nailer for it enhances the line of sight and accuracy. This becomes a perfect tool when used with the prescribed nails and a FlexVolt battery for longer life. 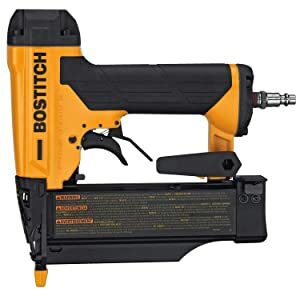 It has decent power as it can drive a 2" nail through an oak trim. Worth the investment with this cordless tool. For the much heavier task, I think this finish can no longer take it but you can test its limit. 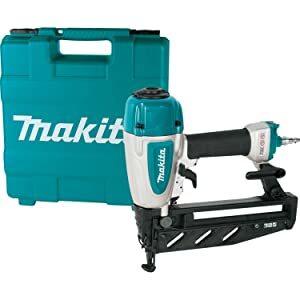 This nailer is ideal for trim moldings and baseboards. You don’t need huge compressors with this type for it only needs a minimal CFM to fire effectively. The depth adjustment is easy to set and there were just a few times where it didn't drive effectively. I love how it can run through various nail lengths. Unfortunately, only ideal for small works. The best thing about this tool is its power, depth adjustment, and convenient usage. The tool-free quick-clear jam works fine and it didn't fail. The exhaust air vent is also functional and the tool's body looks professional. You don't need to apply much pressing for the nail can drive through the surface. Likewise, you can never see any dent or mark on the surface of your workpiece. Remind: you need to find secure the hose and the quick connect to the tool so that there will be no problem upon using it.